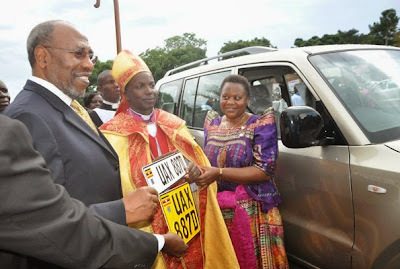 THIS IS TO WISH BISHOP ELDARD KIRONDE NSIBIRWA THE BEST OF LUCK IN HIS EFFORT TO SEE LUWEERO BACK ON THE MAP FOLLOWING THE DESTRUCTION OF THE 5YEAR NRA/M BUSH WAR WHICH HAUNTS THE AREA TO DATE. It is encouraging that the Bishop is development oriented and has contacts. What is important is for him to do things right, guide the people the right way and keep away from politics which divides the people .